In the so called Miracle On Ice a team of college ice hockey players from the USA beat the might of the Soviet Union at the 1980 Winter Olympics. I have never been impressed by this “miracle” because of the huge amount of cognitive dissonance generated when you try to put the words “America” and “underdog” in the same sentence. If, say, the Gambian ice hockey team had beaten the Russians in the Olympic games that might have been something. 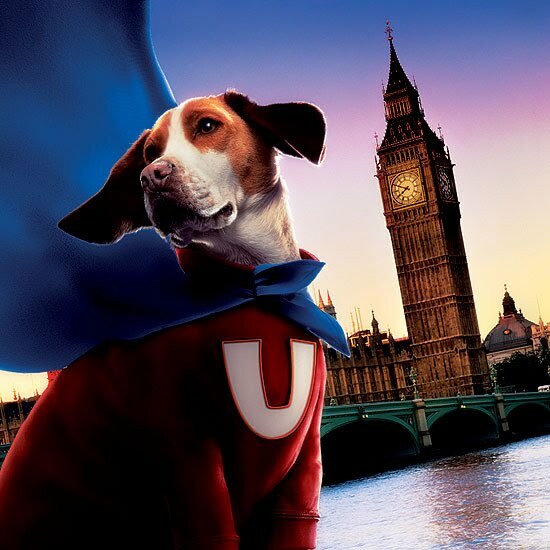 The most economically powerful country in the world is a lot of things but it ain’t never gonna be no underdog. I had a similar reaction watching James Erskine’s film One Night in Turin about England’s campaign in the 1990 World Cup. The movie's narrator (a clearly unconvinced Gary Oldman) says that English football was a total shambles in 1990 but somehow the plucky underdogs - a team which The Sun had called “donkeys” and “no hopers” - won the heart of a nation. 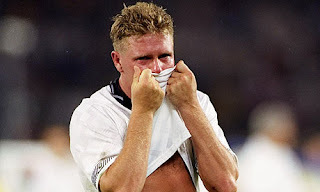 England lost, of course, in that memorable semi final match in Turin against Germany when Chris Waddle missed the penalty and Paul Gascoigne blubbed like John Turturro getting dragged out to Miller’s Crossing for his cranial exam. Erskine's film is a big grab bag of cliches, which I don’t really mind at all, but this underdog nonsense will not stand. England were the sixth seed in the 1990 World Cup. The sixth seed out of 24 teams. Sorry, but you cannot be a seed and also the underdog. If you want to do a film about underdogs in 1990, how about plucky little Cameroon, who beat Argentina and then got eliminated in dramatic fashion, by, er, England. Nah, England weren’t underdogs then and they certainly aren’t now. The bookies have them as the third favourite to win the 2010 World Cup. England of course is home to the richest football league on the planet and six of the richest fifteen football clubs. England is currently in the Top 10 of the FIFA rankings and has never been out of the Top 20 since the rankings began. England won the World Cup in 1966 and English clubs have won the Champions League and European Cup 11 times. I’m from Northern Ireland. Currently we’re ranked 56 in the world and we haven’t even qualified for a World Cup since 1986. To paraphrase Lloyd Bensten, I know underdogs, underdogs are friends of mine and England, mate, I love ya, but you’re no underdog.